Wow! 6-Ft. Long Vintage Wood Propeller with Brass Edging. Be sure to click the image to see the fine brass and wood detail. Now on Sale! 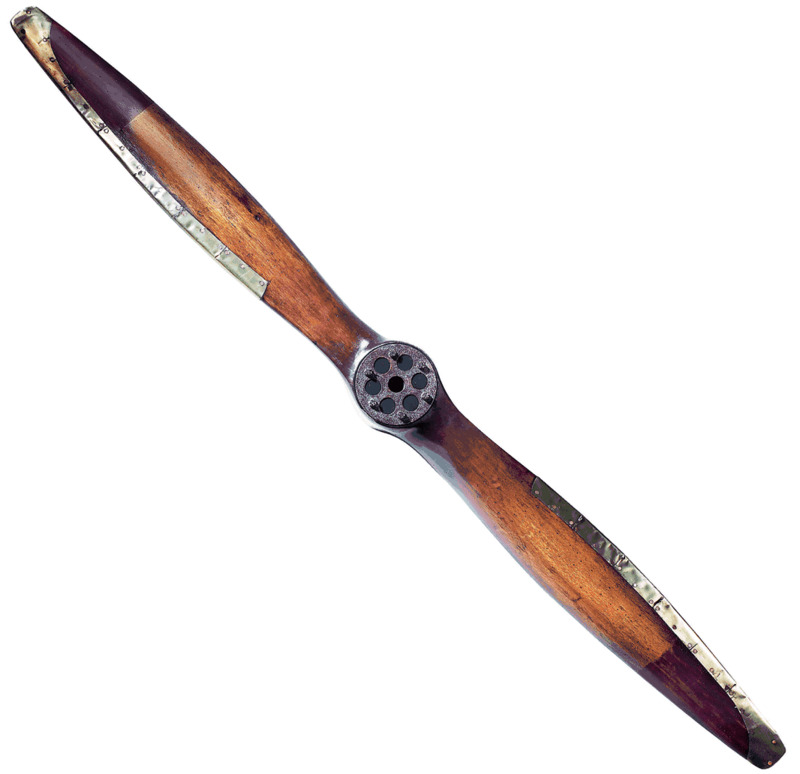 This Vintage Wood Propeller is styled after early day propellers and, is one of the most realistic replica propellers on the market today. Its large size, measuring over six feet, also makes it a fantastic focal point in any room. Antiqued brass is on the leading edge of each blade just as it was done in bygone years. In the early days of aviation, aircraft used grass fields as runways and, the brass edging would help to protect the blade when field stones were kicked-up from the force of the rotating propeller. Nicks and dings have been added to the aged birch wood to add to the authentic, vintage look of the propeller. The wood has also been hand distressed and hand rubbed providing for an attractive, rich finish. Nancy’s Notes: Customer’s often ask for recommendations when selecting a decorative wood propeller. This Vintage Wood Propeller is our most popular large propeller. The excellent craftsmanship, as noted in the product description, is one reason for its popularity. Another reason is the fact that the antique brass edging goes over both the front and back of the leading edge. Some propellers have the brass edge on only the front of the blade. This makes the Vintage Wood Propeller much more realistic as it is closer to replicating real early day propellers. 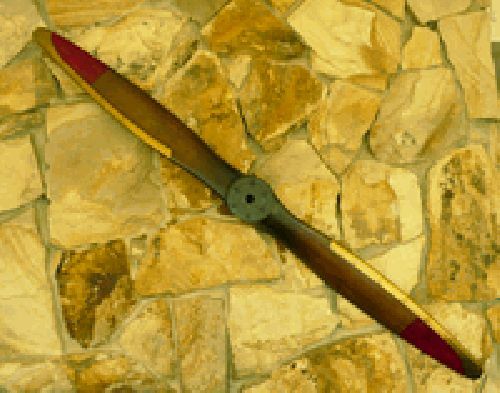 Please call 800-Tailwinds (1-800-824-5946) or email service@tailwinds.com with any questions about our line of decorative propellers. Hardware is included for hanging the Vintage Wood Propeller or simply prop the propeller in a corner. The propeller measures about 73 ¼" long and about 6" high at the widest part of the blade. ProsLight weight. Easy to install wall hanger. ConsPoor packing for a delicate object. It made it all the way to Dubai and gained an additional minor dent. This product is so big and beautiful! It looks amazingly vintage-the brass edging and wood colors are gorgeous. I fell in love with the idea of propeller wall art at a flea market-and the ones there were thousands of dollars. I can't believe something this authentic looking is priced this low. Not too heavy, easy to manage solo (easy to hang in a variety of ways). So glad I made the purchase. This propeller really makes a statement! It is a excellent product and very realistic looking hanging on a wall. You will not find a better vintage looking prop for the money. Shipping was fast and arrived in perfect condition. I think I need an even larger one now! Good job! Website was easy to navigate, price was reasonable & we really love how it looks hanging up! ProsLooks great, was easy to hang & arrived on time. Large Vintage Wood Propeller a Knockout Gift! I purchased the LVWP as a gift for my brother, who has an aviation themed casual room in his FL home. We are both retired professional pilots (USMC, USAir & American) so I hoped it would fit in. He and his wife, a retired USAir flight attendant, are very enthusiastic about receiving it and immediately found the perfect place to display it. It was important to me to find the "right" gift for them, so I am really happy that I found the LVWP on-line, and that it was even on sale! (Airline pilots are notoriously cheap!) I can guarantee that Tailwinds is among my favorites and that I will be shopping there again. Thank you for a great gift! Very nicely made. Arrived a week or so ago and just got the chance to open it up. Packaging was great and the condition of the propeller was excellent. ProsBeautifully made, worth the money. My son will love it for his birthday present coming up. Nice looking wall hanger for office or man cave. Looks great in hubby's office. Really like the look, especially the metal trim. Only drawback...useless hanging hardware. Had to improvise and use own hanger. I just got this propeller and was very impressed. Easy to mount on the wall and light weight. It adds a lot to our den. ConsShould send directions for hanging on the wall. I found it easy but some people may not know how to hang it. I could not be more pleased with the airplane propeller I ordered! It arrived quickly and is stunning!!! This is a very nice replica. Arrived safely and on time. Good packaging. Really like the brass leading edge. It does wrap to the back side as well making it look more authentic. Perfect for our home. We are not planning to use the mounting hardware provided. While it may indeed work, I want to use something a little more substantial for our installation. ProsGreat replica. Nice finsh/coloring. Great detail with the brass leading edge. We have been looking for wood prop for some time to decorate our dining area. Extremely satisfied by quality and look. 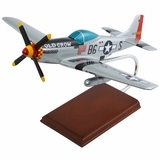 I ordered this for my son, a pilot, for Christmas and was very happy with the propeller. It arrived quickly and was double boxed so it arrived in excellent condition. My son was thrilled with it!! It looks just like the picture and the wood was solid and the metal trim and paint made the propeller looked authentic. I do wish it had a hanger already in place, but it shouldn't be too hard to hang. I got this item on sale and was very satisfied with the quality that I got for the price. 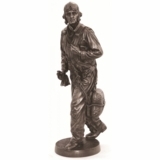 I bought this as a Christmas gift for my fianc who is a pilot. He loved it! I looks GREAT with the 16 x 20 picture, I took while we were flying, had framed, and is placed under the propeller. I was surprised with the quality of the prop and the speed of the shipment. I ordered two of these, and they were both packaged individually in boxes with plenty of bubble wrap. I would recommend to a friend. Looks very close to the real thing, will work well as a decoration. I ordered this as a decor piece for my bedroom that I plan on redecorating sometime in the near future. I lost my wife to cancer three years ago and have decided it's time for a change. I have seen authentic props in antique shops in the past but the price was a little to steep for something that will not be viewed regularly by anyone other than myself. I was searching on on the internet for props when I came across your site and found this beautiful replica, that looked even better than I expected upon receiving it. I can't say enough about the way it was packaged either. I think it could have dropped out of a plane on the way and still would have been fine. Service was prompt and courteous and I will surely be doing more business with Tailwinds as my room comes along and additional needs arise. Thank You! Very nice. Looks as good as advertised. Looks great on the wall!! For someone in the Aviation field like the Military, this was a huge surprise and a very rewarding gift. To see that persons eyes light up and then the tears flow, made us feel very warm inside that we had chosen the perfect gift!!!! The prop is exactly as advertised. The rich color of the wood makes the piece perfect for my office. The brass looking trim adds to the overall quality. It comes with easy to install brackets that allow a person to hang it on the wall at different angles. This is a beautiful propeller, looks just like the picture online. Very lovely wood. We purchased it to be used as a guest book at the wedding of our daughter and son-in-law, both pilots. Guests signed with gold and bronze sharpies, and the result is stunning! First propeller arrived with a dent in the wood, due to improper packaging. The company was very prompt in replacing it in a very timely manner. This turned out to be a great gift for an old avaitor! Super quality and perfect finish! Consslightly slower delivery but given the holiday season, easily expected.